Just as different grapes and regions produce different wines, so too do olives produce a litany of different flavors and quality levels around the world. In Italy, many of the best winemakers also grow olives and produce some of the finest olive oils. It’s time to take note! The health aspects of naturally monounsaturated olive oil have long been known by Mediterranean cultures, and now science has proven that starting a meal with a tablespoon of olive oil can jumpstart the healthy digestion of your intake. A great way to do this is to serve a starter course of bread and dip it in a small dish of oil. All Mediterranean countries grow olives and produce olive oils, but Spain and Italy have the world’s admiration for production of the best examples. Their climates and soils provide the best growing medium, and the traditional methods and respect for quality shown by both countries ensures consistently outstanding results. California, Greece and France also produce fine olive oils. Identifying flavors in olive oils is similar to evaluating wines, with a similar degree of experience and knowledge required to sort out the results! Producing olive oil is similar to winemaking in many ways. Olives and grapes are both fruits, with hundreds of individual varieties that must be matched to soils and regions. Harvesting must be done carefully and at the optimal time. Production takes place in immaculately clean facilities, under delicately controlled pressures and temperatures. The biggest difference between winemaking and olive oil production is the fermentation process. Fermentation by definition is of primary importance in winemaking, but is carefully guarded against when making olive oil. Fermenting of olives produces an off taste which destroys the final product. All olive oils are graded by the degree of acidity they contain. The best are cold-pressed, a chemical-free process that involves only pressure. Extra virgin olive oil, the cold-pressed result of the first pressing of the olives, is only 1% acid. It’s considered the finest and fruitiest of the olive oils and is therefore also the most expensive. In general, the deeper the color, the more intense the flavor. 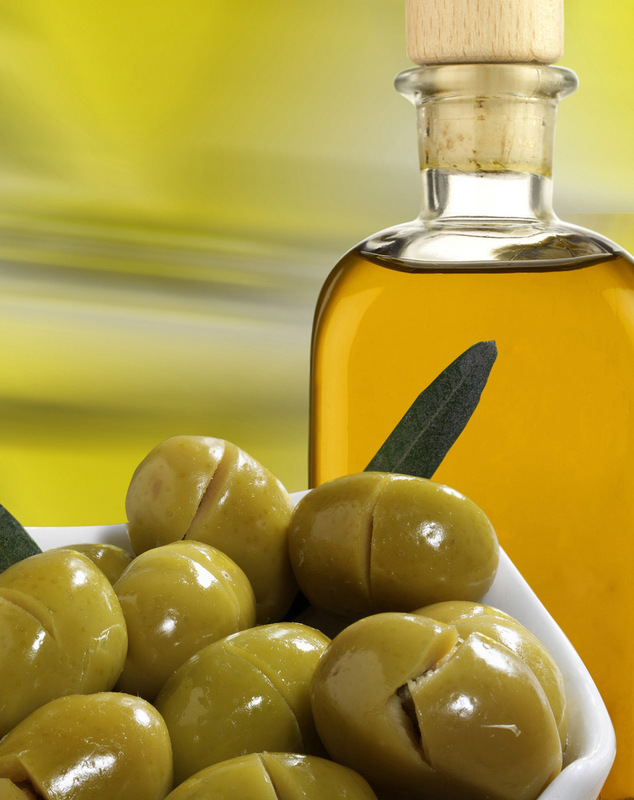 Virgin olive oil is also a first-press oil, with slightly higher acidity between 1 and 3%. Fino olive oil is a blend of extra virgin and virgin oils (fino is Italian for “fine”). Products labeled simply olive oil (once called pure) contain a combination of refined olive oil and virgin or extra virgin oil. The new light olive oil contains the same amount of beneficial monounsaturated fat as regular olive oil…and it also has exactly the same number of calories. What the term “light” refers to is that–because of an extremely fine filtration process–this olive oil is lighter in both color and fragrance, and has little of the classic olive-oil flavor. It’s this rather nondescript flavor that makes “light” olive oil perfect for baking and cooking at higher heats (high heat destroys the flavors of high-quality oils). Be sure to store your olive oils properly. Bright light and temperatures over 70 degrees will age oils prematurely. Oils will last 6 months in a cupboard/pantry or up to a year in a refrigerator (although you’ll have to let it warm back up before being able to pour it. 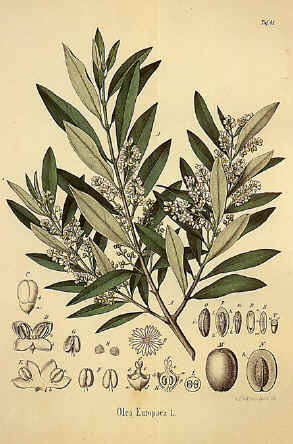 Visit www.oliveoilsource.com for more information. I always wanted to know about olives and this article gave full information about olives. Thanks, Well done.